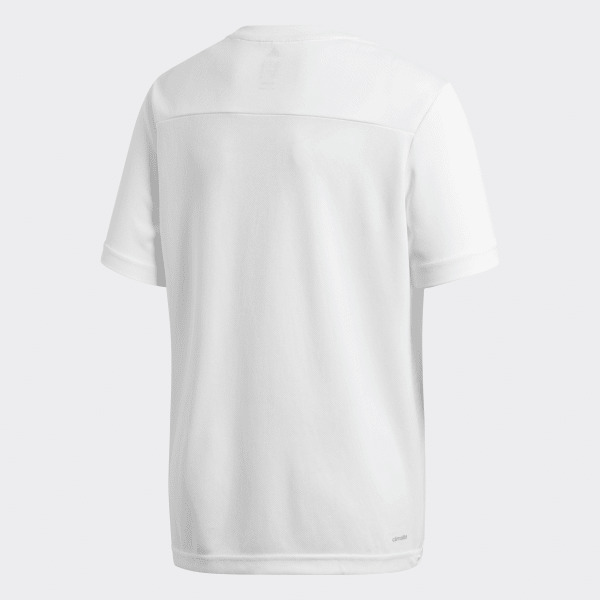 A t-shirt that wicks away moisture to keep you dry. Stay dry and comfortable through every kick, jump and swing in this junior boys' training t-shirt. The fabric sweeps sweat away from your skin, and a regular fit gives you room to move.